Enterprise to Person (E2P) messaging is taking off in North America and enterprise businesses want guidance on the best practices for using short codes, long codes, and text-enabled toll-free numbers or landlines when sending and receiving text messages from their employees and customers. I spoke on this topic at the Telecom Council Carrier Connections TC3 event last month. You can watch the entire video of my Spotlight session on “Messaging with OpenMarket” here. With consumers attempting to text into the toll-free numbers of the Fortune 100 companies, there is a clear and growing appetite to be able to communicate on the channel that they prefer: SMS with the ability to easily escalate to voice when necessary. This is because 81% of consumers are frustrated by being tied to voice calls for customer service and 60% prefer to use SMS over voice for customer service. With the availability of delivery receipts, high Mobile Terminated (MT) throughput rates on all the major US carriers, and a carrier reach list as viable as using short codes, enterprises are text-enabling their toll-free numbers and changing their call to action. One retailer is using a text-enabled Canadian toll-free number for their home grocery delivery service for quicker customer interactions. Another company is text-enabling its branded toll-free number for their contact center for better mobile customer engagement. OpenMarket guides our enterprise customers to choose the best message originator: short code, long code, text-enabled toll-free number or text-enabled landline to achieve their desired outcome. All of this functionality is available from a single API which also supports global SMS on a similarly broad set of message originators: short codes, long codes or Alphanumeric Sender IDs. 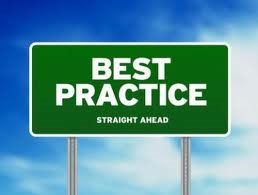 If you want to learn more about the emerging best practices for E2P messaging, you have your choice of channel: call or text E2P to our toll-free number: 877.277.2801 to receive our Best Practices for Enterprise-to-Person (E2P) Messaging white paper on this topic. Let us know what you think.